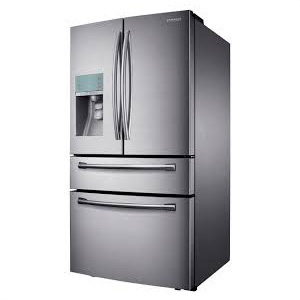 We provide Refrigerator Repair in Corona and surrounding areas. The best way to prolong the life of a refrigerator is to clean the condenser coils at least once a year. It is recommended to clean condenser coils on certain types of refrigerators, such as side-by-side and built-in models, at least twice a year. Following these simple maintenance tips, can help to prevent a service call for refrigerator repair. 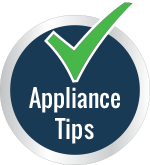 If your refrigerator is noisy, it is most likely due to the drain pan, condenser or evaporator fans or the compressor mounts not being leveled properly and could be easily adjusted. Refrigerators and freezers whose temperatures need adjusting may have problems with temperature settings or controls, door seals or switches, defrost heater or timer, clogged drain tubes or a malfunctioning evaporator fan. Before you call for an emergency service technician to come and perform refrigerator repair, we recommend trying these tips as they will save your time and money. 1) Refrigerators and freezers must be so placed that there should be at least 12” of gap between the wall, back and sides of refrigerators/freezers . More breathing space results in proper circulation of air and efficient performance of your fridge or freezer. 2) Condenser coils of refrigerators should be kept clean. This can be done by using a blower of a vacuum cleaner or mild detergent with sponge and it is recommended to do this at least twice per year. 3) Refrigerators should not be loaded with food stuff as it impedes circulation of air and affects cooling. 4) Keep all food items wrapped in plastic wraps or tin foils to avoid bad odors. 5) Placing medium sized charcoal or 250 gms of baking soda in a plastic bowl or instead a boiled and peeled potato takes up all refrigerator odors. 6) The fridge doors should be kept free of heavy loads of juice, wine and milk bottles. It exerts a vertical weight on door hinges and results in improper door closure. 7) The gasket or rubber seals of refrigerators should be cleaned periodically with a sponge and soapy water to maintain proper closure of doors.